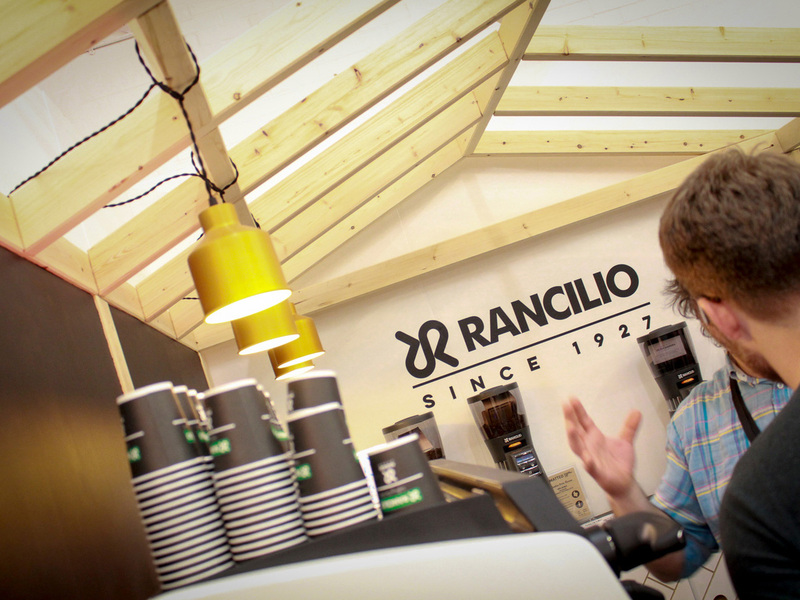 For the Rancilio trade stand, at London Coffee Festival, Liqui combined form with function. 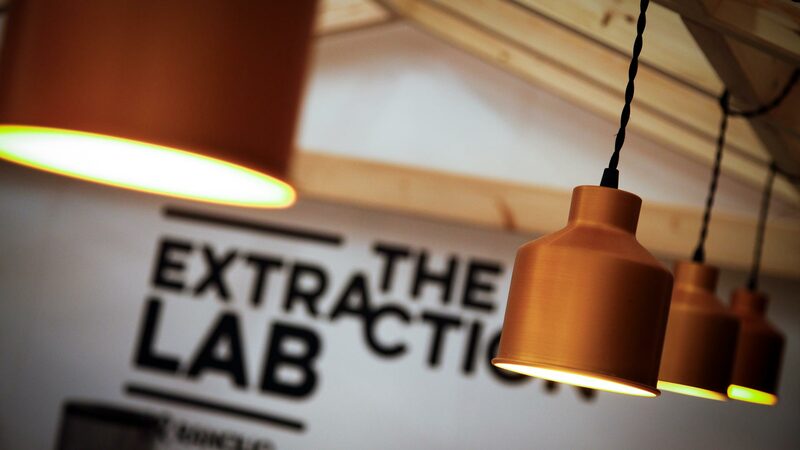 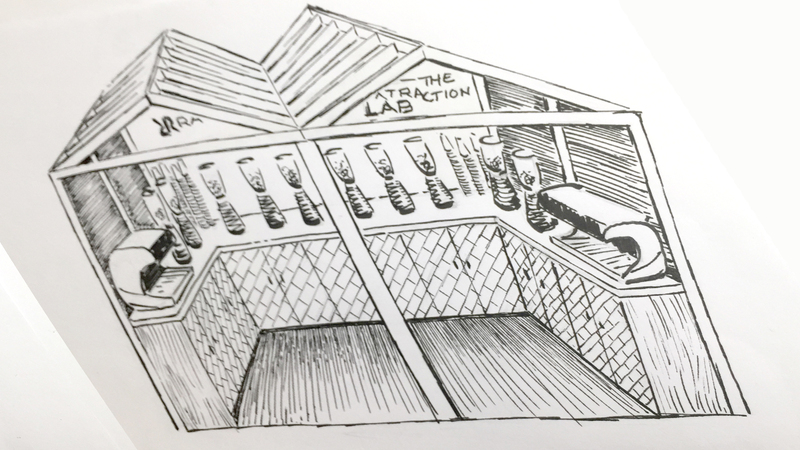 Integral to the design is the all-round counter space that was needed for the extensive equipment required for their ‘Extraction Lab’. 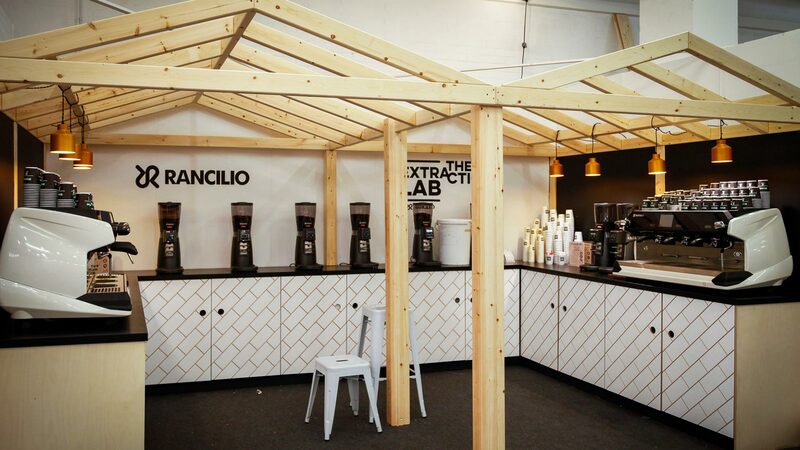 This is where they experimented with temperature profiling and explored the variety of flavours that could be gained from brewing coffee at different temperatures. 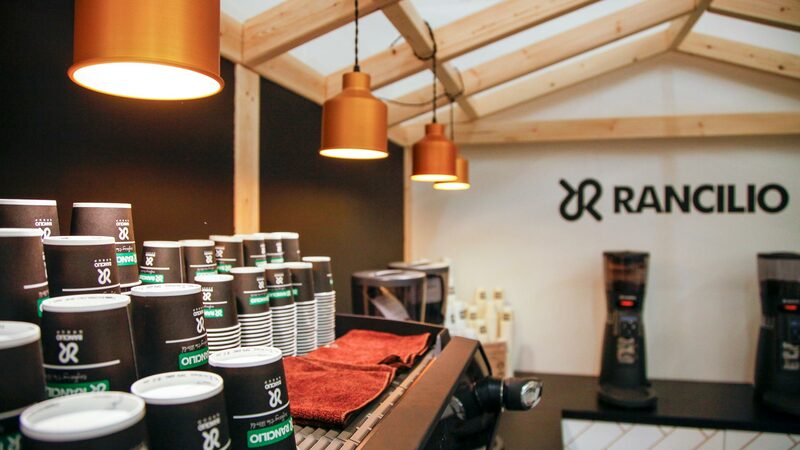 The stand was part of the House of Coffee area; so this was reflected in our open rafter roof design with our own Cell Naked pendant lights. 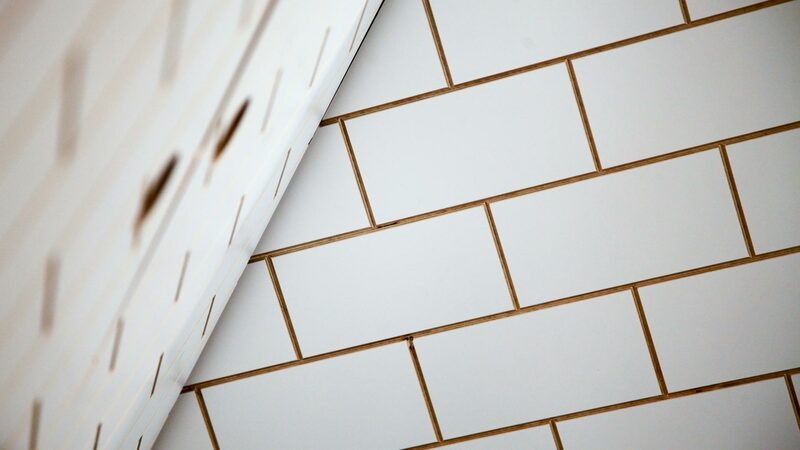 The cupboard doors were CNC routed with a diagonal pattern that referenced the subway tiles that are popular in many coffee shops at the moment. 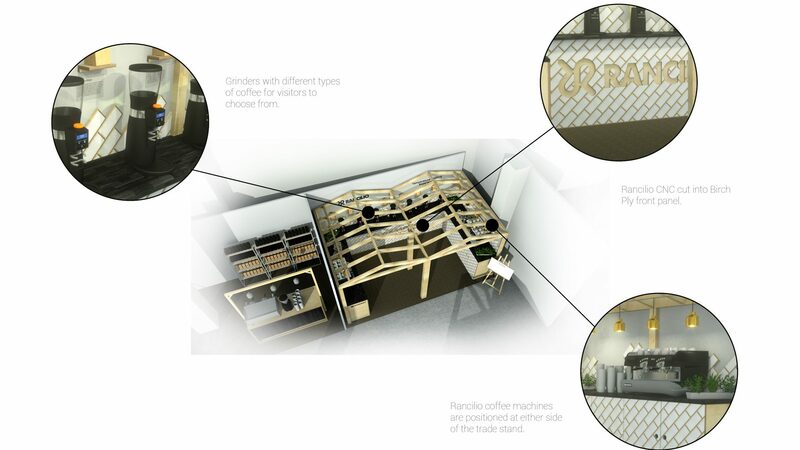 Overall the design worked well; providing storage, counter tops and floor space for the many visitors who came to taste the different flavours of coffee on offer.